Looking for a convenient language course that fits your lifestyle and gets you speaking a new language in a matter of hours? The acclaimed audio-led Michel Thomas Method, endorsed by celebrities, executives and learners worldwide, will deliver the results you want. During the course, you will join Michel Thomas Method teacher Akshay Bakaya and two students in a live lesson, learning from both their successes and their mistakes to keep you motivated and involved throughout the course. You, as the learner, become the third student and participate actively in the class. Within the very first hour you will be able to construct simple phrases by listening and thinking out answers for yourself without the pressure of writing or memorizing. You learn through your own language, so there's no stress, and no anxiety. You'll stick with it because you'll love it. 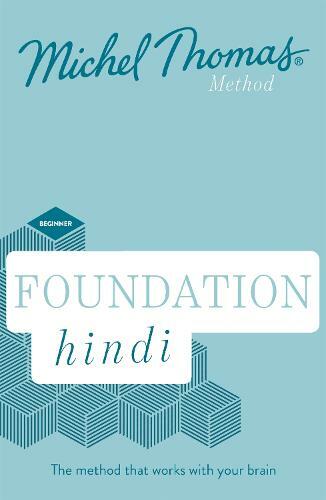 Foundation Hindi with the Michel Thomas Method includes up to 8 hours of audio on CD. *Note that the first two hours of this course are the same as the Start Hindi 'taster' course.